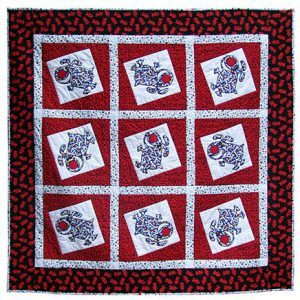 The Garden Wall Quilt Layout was designed by Judy Niemeyer in the fall of 2013. The foundation papers used to create the Garden Wall have been one of out most popular design elements, being used in several layouts over the past few years. 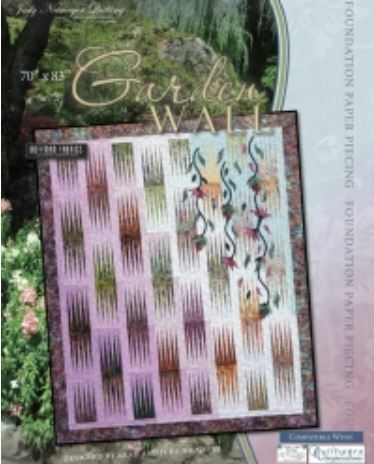 The most recent being the Garden Wall, which is a result of the development of Quiltworx Bali Pops by Hoffman Fabrics and laser-cut fusible applique products called Quiltworx Impressions. 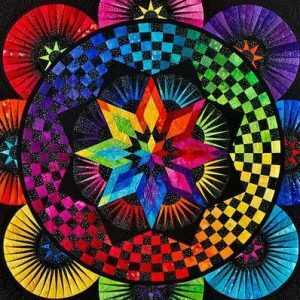 The instructions in this pattern are based on a technique for foundation paper piecing using 2 1/2? pre-cut strips. Traditional piecing skills are required to join the units after the foundation piecing is completed, and applique skills, including either a turn under option or use of laser-cut fusible applique are necessary to complete the Garden Wall flowers. 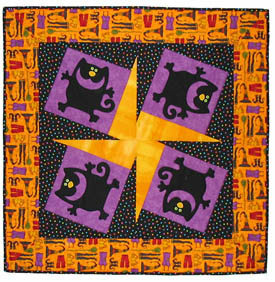 Templates and layouts for the applique are included in the instructions for traditional applique techniques or, separate kits can be purchased for the pre-cut applique pieces.